Sir Schmoopy of Awesometon and Eluamous Nailo will be riding again in the third season of Unforgotten Realms. The epic tale of Rob and Mike - also known as Sir Schmoopy of Awesometon and Eluamous Nailo, master-wizard-in-training - as they adventured through the homebrew tabletop world of Unforgotten Realms has since moved on to its own site, but it still has many fans in The Escapist's community. This Friday (May 14th), those fans will find their long wait at an end: The third season of Unforgotten Realms is upon us. If you've been dying for your UR fix since the end of the second season, craving monocle-wearing wizards and nunchuks made from the finest Canadian lumber, your salvation is at hand! 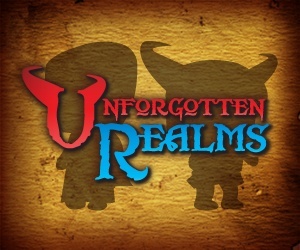 You can view the third season of Unforgotten Realms at its new home site.